Following on from Yarmouth Town, we’re once again in Bellowhead, Bellamy and Bullen territory and Jon Says, “Bellamy got this from Peter Bullen, along with Yarmouth Town. It seems very C20th in syntax so it’s possibly written by Bullen or someone in his family?” Jon is referring to the sleeve notes from Bellamy’s original release. 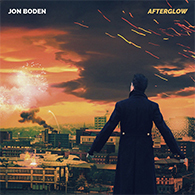 You might want to have a quick look at this Mudact thread, which includes a post or two from Jon. I’d have to agree that it has a C20th feel to the lyrical details, but whoever wrote it, it’s still a fine song and worthy of its place here. This entry was posted on Sunday, September 7th, 2014 at 12:00 am and is filed under News. You can follow any responses to this entry through the RSS 2.0 feed. You can leave a response, or trackback from your own site. OOer….I’ve upset somebody…………..I’m not allowed access to the Mudcat thread!!!!!! I liked the singer, the song and the concertina……..but this time the matching level of voice and concertina made it difficult to hear the words………or is it me!…Old Blokes…I ask yer……never bloomin’ satisfied! In style it’s very Revival – if someone told me it was by Jez Lowe I’d believe them instantly. Nice song though. One of my more boring habits is going up to singers and saying appreciatively, Was that in 5:4? (It usually turns out that they don’t read dots and have no idea what I’m talking about.) Still, we’re among musos here, so… er… was that in 5:4? I deeply love this tune and would concur about it’s 20c-ness (especially when the singer’s eyes are popping out of his head). I hear it’s echo around Christmas when ‘Fairytale of New York’ is on the radio. 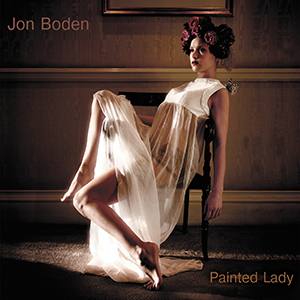 Always loved this and it really suits Jon’s voice…. Each morning it’s a delight to see what the latest offering is. Today is no exception. Very different to Bellowhead’s version, obviously, but I think I prefer this one. One gripe, I wish itunes would get their act together. Today and previous two days not available. Sorry for the broken link there. I did have the right one 90963, but for some reason it didn’t stick in the post. I’ve updated now, so hopefully that’s fixed it. One of our surprisingly rare technical glitches on the blog! I’ll ask Ben to look into i-tunes and post back. Love this song saw Bellowhead sing this live at Shrewsbury Folk Festival – is was great. My fingers started ornamenting the other day when I was in the middle of a tune and wasn’t thinking what I was doing – most peculiar it was, they usually only contribute wrong notes. Maybe one day I’ll be a folk muso too. I play by ear – I have done since I got my first recorder at school, got bored with blowing As and Bs and worked out God Save the Queen – so I find it hard to imagine needing the dots. On the other hand, I still mostly learn tunes from the dots – I’m deeply impressed by anyone who can hear a tune once and start playing along. On the other other hand, I’m really deeply impressed by anyone who can play from the dots on sight – I don’t know how their brain can work that fast. Phil, yes it is in 5/4 of course. You can almost waltz to it, but it would involve some falling over. Nice to hear another Bellowhead standard stripped down (as it were). My brother and his good girlfriend help to organise the real Fakenham Fair in Norfolk. What are the chances. Great song and great version. Bringing back fond memories of the late great Peter Bellamy: my vinyl copy of “Mainly Norfolk” would be worth a bob or two now if I hadn’t lent it to someone back in the ’70s… I’m pretty sure that Bellamy sang it in waltz time (which also sounds good…) but the 5/4 timing sounds great – even without the rest of Bellowhead! Nothing has appeared in my iTunes since Sept. 4th, and I keep refreshing it. Is there a problem there? OK – fixed now, thanks! More of a bobbing up and down than a pogo dance Maureen! This song is just lovely – just what I was longing for. Thank you so much. Now where can we come and listen to you? 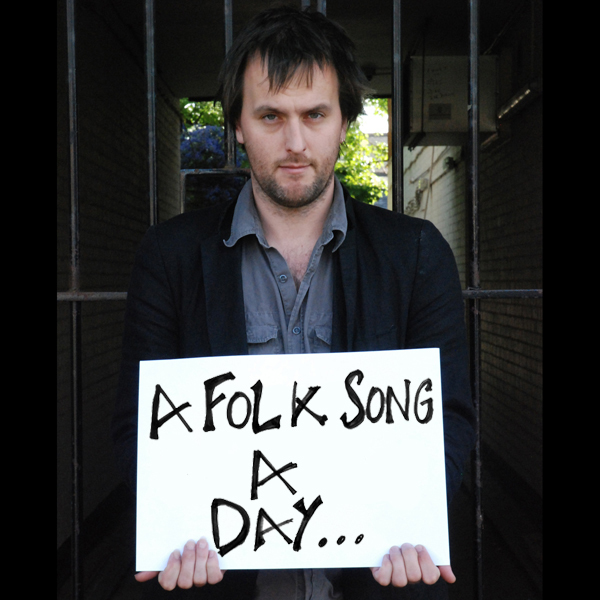 This is to announce 52 Folk Songs – http://www.52folksongs.com – a Web site where, inspired by Jon’s amazing project, I shall be posting a folk song every week for the next year. There are two songs up there at the moment; one’s my version of Lord Bateman, the other isn’t a folk song. Have a look! File not found – and its one of my favourites of the AFSAD project – I’m having withdrawal symptoms! Sorry folks, I’ve no idea what that File Not Found was all about. I went into the admin area and there it was, as it should be. I’ve uploaded it again and it’s fixed the problem but it looks exactly the same as the one that didn’t work!! I’m a bit preoccupied with Properganda magazine again as well as some other stuff, so thanks to Reinhard for the tip off. I do try and keep an eye on things, but please will those of you that can e-mail me with any further problems as soon as you see them. Will do, Skyman. Bit preoccupied missen today, so never got back ’til now! Plus, I’m enough of a pest normally… hahahahaha! Oh, well done, Phil, on 52 Folk Songs! I’ve signed missen up fer notification! Great song – well sung. Also like Bellowhead’s version.